These words surely describe the way in which our beloved Sister Patricia Stowers lived her life. She was blessed with a loving family, a rich personality, a good sense of humour, the gift of making friends with people of every background, many practical talents, good education, a deep and lasting conviction of her vocation as a Missionary Sister of the Society of Mary, and a commitment to mission beyond borders of language, culture and religion. She used these qualities to keep alive her own sense of daring and to respond to the calls of God through the Congregation. Patricia Stowers was born in Lepea, Samoa, on 12 December 1938, the eldest of the ten children of Siaosi and Eleni Stowers. She began her schooling at St Mary’s Savalalo, but after making her first Communion she went to New Zealand with her paternal grandfather who took three of his grandchildren with him to settle in Mt Eden, Auckland. He would wake them early each morning to accompany him to Mass, and on the way there and back they would recite the rosary together. Patricia continued her schooling in Good Shepherd Primary and Secondary Schools in Balmoral, Auckland. After leaving school she worked as a shorthand typist for the Registrar of Births, Deaths and Marriages in Auckland. She was a skilled typist and for many years preferred to use a typewriter, refusing to have a computer even when she was congregational leader. She was a latecomer to the world of emails, but when she went on mission to Algeria she came to appreciate the facility of communications through the internet and took much pleasure in the family website. Patricia became a postulant at Heretaunga on 15 November 1957, and was received as a novice on 30 May 1958, making first profession two and a half years later on 8 December 1960. She spent one year in Auckland cooking and studying, then the next four years back in Heretaunga on the novitiate staff. While at Heretaunga, Patricia created “bonds of communion” for the young Samoan “girls” who came to work at nearby St Patrick’s College, helping them to adjust to life in New Zealand. As well as participating in the Third Order of Mary meetings at the novitiate, the “girls” and the Tokelauans from the Immigration Camp acted in the all-female cast of The Pirates of Penzanceproduced by Sr Patricia and Sr M. Marietta in 1963. From 1966 to 1968, Sr Patricia was back in Samoa studying at St Mary’s College, Vaimoso. Then she taught for three years at Moamoa, where she also coached the softball team. In 1973, she taught at St Mary’s Primary School, Savalalo. From 1974 to 1977, she studied at Macquarie University in Eastwood, Australia, where she gained a BA Degree and a Diploma in Education. The following year she returned to Vaimoso to take up teaching again. Then began a long period of service in leadership in the congregation. 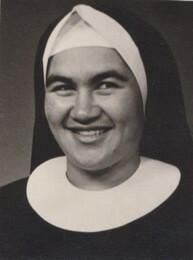 Sr Patricia had already been appointed a regional councillor in Samoa in 1970 and was re-appointed when she returned from studies in Australia. In 1979, she was appointed Regional of Samoa and, in that role, participated in the provincial chapter in Auckland that year. The following year she was a delegate to the General Chapter in Rome. 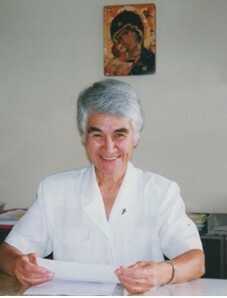 After two terms as Regional in Samoa, Patricia participated in the first Marist Family Renewal Programme in Fribourg, Switzerland, in 1983, and the following year she studied at the Institute of Spirituality in Chicago, USA, after which she was appointed Novice Mistress at Heretaunga, New Zealand. Patricia loved the work of spiritual accompaniment. As Directress of Novices, she insisted that each novice would cooperate in her own formation, firmly believing that the Holy Spirit works in each person. She expected the novices to be open to change and to become the person God intended them to be. Patricia always held a special love for the younger sisters in the Congregation, and prayed for each one. In 1986 she participated in the Provincial Chapter in New Zealand, and was elected as a delegate to the General Chapter of 1987, where she was elected superior general. Seven years later she was re- elected for a second term. When Patricia was finishing her first mandate as superior general, she let it be known that she had a dream of being missioned to Algeria. However, when she was re-elected superior general, she said simply: “I live by our Constitutions”, and put aside her dream. She was convinced that the Constitutions “point out a true path to holiness and to participation in mission” (C. 396). 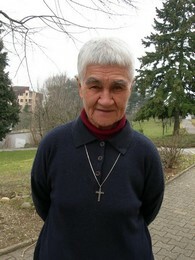 When Sr Patricia was elected congregational leader for the first time, the General Chapter gave her a mandate that asked for study and action on certain aspects of mission: inculturation, justice, peace and the integrity of creation, work for the promotion of women and deeper communion among smsm. In dialogue with provincials, sisters were missioned to several new countries: Kiribati, the Virgin Islands, Madagascar, and the Cook Islands. During these same seven years, our sisters were evacuated from Bougainville in 1990 and from Rwanda in 1994 because of civil wars. Smsm commitment to ecumenism was highlighted with the appointment of Sr Mary Emerentiana as Vatican representative to the World Council of Churches from 1990 to 1997. The mandate given to Sr Patricia for her second term as congregational leader required her to initiate and organize a process of congregational study, which was carried out with a professional consultant, and shared throughout the congregation. The mandate also required the study of smsm spirituality and history in order to help all smsm sisters to deepen their understanding of their vocation in the Church, and to promote missionary vocations. Several significant publications aided these studies, including two books on Marie Françoise Perroton, and the printing of her letters, as well as those of Madame de Groues. A new smsm mission was begun in Germany in 1994, sisters were sent to Tanzania to work in the refugee camps from 1995 to 1997, and smsm returned to Bougainville in 1995 and 1996 to work with the Congregation of the Sisters of Nazareth. It was during this period that the interprovincial French-speaking novitiate was opened in Senegal and the interprovincial English-speaking novitiate moved from Auckland to Sydney and back again to Auckland. During her years in Rome, Sr Patricia showed her love and loyalty for the Church and the Holy Father. She reached out to other congregations, sharing with them her experience of intercultural community living. As a member of the “Council of 18” men and women religious superiors of missionary Congregations, she was able to bring a Pacifican perspective to their discussions. One of her interests was being on the executive committee of Sedos, where she was appreciated for her broad knowledge of mission and the joy with which she would dance at the end of year celebrations. She delighted in being part of the Pontifical Council for Interreligious Dialogue, preparing herself to live a dialogue of life with people of other faiths. She was chosen to be an auditor for the Oceania Synod convoked by Pope John Paul II, and she encouraged her sisters to study well the documents of each Synod of bishops from the various regions where smsm are missioned. At the same time she worked closely with the other Marist superiors general to promote greater bonds within the Marist family, and to get to know one another’s history and how the Marist spirituality was understood in each of the four religious branches. Sr Patricia’s opening message at the General Chapter of 2001 challenged every smsm sister to “launch out into the deep”. After that chapter, she left Rome and enjoyed a well-deserved year of holiday, home visit and spiritual renewal. Then she herself launched out into the deep as she followed her earlier dream and was missioned to Algeria. She spent two years in Ben Smen the Jesuit house which was being developed as a centre for spirituality, and where occasionally she could welcome an smsm sister for a short renewal. 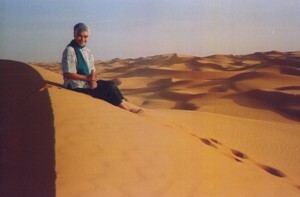 She was very engaged in giving spiritual direction and retreats while learning Arabic and adapting to her new mission. Her next six years were in the community in Adrar where she gave courses in the English language. Sr Patricia believed passionately in the mission of presence among Muslims, and that interreligious dialogue was a priority for the mission of the church for the new millennium. She also firmly believed that the smsm in Algeria made a unique contribution to the promotion of the Algerian woman and family, which she considered to be very much in the tradition of our pioneers in Oceania. She made new friends with people in Algeria, who kept in contact after she returned to France. She loved the solitude of that mission, the rhythm of life in Algeria, and the chance to pray in the desert. But while she was missioned in Algeria Sr Patricia was diagnosed with cancer. In 2005, she went to France for surgery, and she returned several times later for check-ups. When smsm withdrew from Algeria, Sr Patricia accepted to be assigned at Ste Foy in Lyons. There she continued her service as spiritual director, and was happy to prepare several younger smsm sisters for their perpetual vows, and to return to Rome occasionally to give courses for smsm renewal programmes. She also helped the Marist Fathers with renewal programmes in La Neylière. In September 2012 she accepted to be the local superior at Ste Foy and three years later to be named Regional of Africa Europe, which meant she would be based in Brescia, Italy. This was to be her last major appointment to leadership. She knew she would not be able to travel much, but she expressed her confidence in the sisters on her council whom she hoped to form for their service of leadership. However, when her cancer returned she resigned from being Regional, accepting the cross of sickness as a new call to mission and offering herself peacefully and trustingly once again for whatever God would ask of her. She offered her suffering each day for the Congregation and as far as possible followed the news of sisters everywhere, keeping them in her prayers. in the Spirit of Mary” (C. 23). Sr Patricia certainly became the person she was called to be: an smsm sister filled with the joy of life and the passion for God’s mission. All of us who knew her will remember her joyful spirit sometime expressed at celebrations in a spontaneous dance, or in her younger years in a rousing game of tennis. We recall, too, her infectious laughter and sense of humour, her willingness to take on any task “in complete availability and self-sacrificing obedience” (Prologue to Constitutions, p.15 )and to work hard to complete it, her breadth of vision for mission, and at the same time her ability to live simply with “patience, humility, and love,after the example of Mary” (ibid). She was a true sister to her sisters. She always had time for each one and she knew how to genuinely make each person feel important to her no matter how busy she may have been. She trusted her sisters to carry out the responsibilities given them, she encouraged and supported them but she did not turn away from challenging or correcting when this was called for. Sr Patricia spoke more than once about all the light and brightness at the transfiguration, remarking that it was from the cloud that God’s voice was heard. As a leader, and as a spiritual director, she did not rescue people in their difficult times. She was comfortable in her trust and faith in a God ever present. She could wait with people in their darkness. Over the past year, she has waited in her own darkness as her strength declined, and illness gradually sapped her life. She remained trusting and serene, and conscious almost unto the end, recognising the sisters who came to minister to her, and giving them a smile, when she no longer had any words. That same smile would appear when she was given news of a call from her family or friends. Surely she is smiling even more happily now in the presence of the God whom she loved and served so faithfully; perhaps she is dancing with joy, as with Mary she sings her eternal “Magnificat”.